Loughborough Town Hall01509 634775workEvent OrganisersLoughborough Town Hall hosts parties for all sorts of occasions - birthdays, anniversaries, banquets and balls! In particular, the beautiful Victoria Room is a great place to entertain guests. We are proud to offer a bespoke service, tailoring party packages to suit individual requirements. With our competitive prices and mouthwatering menus, Loughborough Town Hall is the place to be! 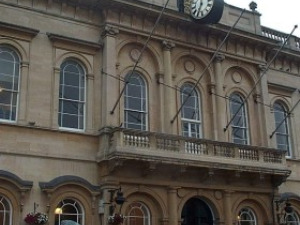 Loughborough Town Hall hosts parties for all sorts of occasions - birthdays, anniversaries, banquets and balls! Our special party package rate of £250 is for non commercial events, such as birthday's and anniversaries. Loughborough Town Hall is situated within the pedestrianised area of Loughborough town centre, with a multi storey car park just a short walk away.